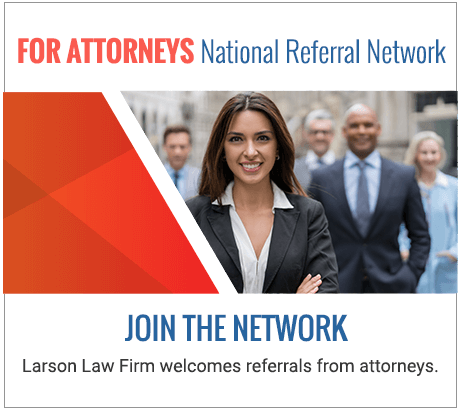 Attorney Referral Network | Larson Law Firm P.C. Larson Law Firm, P.C. has been North Dakota’s trusted source for competent, aggressive counsel for close to 40 years. We are a premier personal injury firm, handling complex cases across the state. We pride ourselves on offering honest, practical guidance to our clients, using state-of-the-art technologies in the courtroom and in settlement negotiations, and for building long-lasting relationships with the families we serve. Our reputation as a group of no-nonsense attorneys has led to fruitful and mutually beneficial relationships with our peers, as well. Our wide-reaching network of resources, coupled with our skills and experience, make us an ideal partner for complex litigation, including class-action and mass tort cases. Our founder, Mark Larson, is a Certified Civil Trial Specialist and a Certified Pretrial Specialist, and the former President of the North Dakota Association for Justice; he currently serves on the Board for that organization. He is a member of the Board of Governors for the American Association for Justice, as well as a member of their Leaders Forum, so you can rest assured knowing that we are equipped to handle whatever comes at us. Larson Law Firm is excited to explore new options and new forms of advocacy with firms in North Dakota and throughout the United States. Our vast array of resources allows us to fund cases here in North Dakota, and our decades of experience and finely-honed skills in trial and in negotiations makes us an ideal choice for a referral partner. Because we operate exclusively in North Dakota, our out-of-state colleagues can rest assured that they have referred their clients to a firm with the experience and acumen to protect their clients. 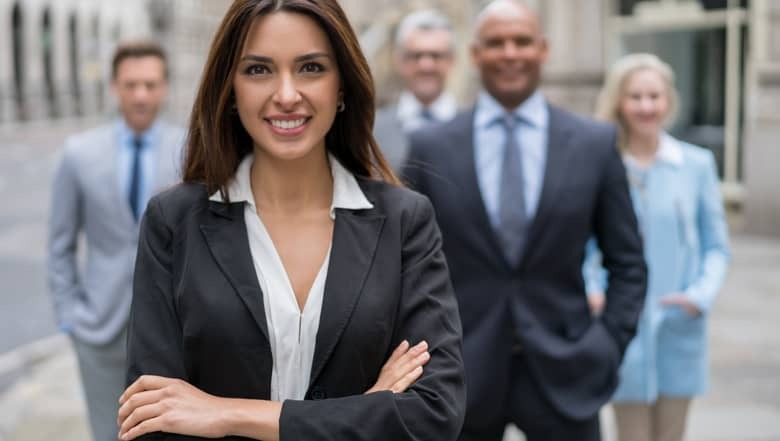 For our partners in-state, we offer the security that comes with knowing we can effectively handle even the most complex litigation, and provide a resource for cases that may prove cost-prohibitive to your firm. We offer a fair fee-sharing schedule, and can create a flexible association plan that works for you, allowing you to be as involved as you wish in the process. Whether you are another North Dakota firm looking for a partner, or an out-of-state firm looking for a team you can trust to protect your clients, we promise you that we will treat your clients the way we have always treated our own: with dignity, integrity, and honesty. Ready to work together? We are, too. Larson Law Firm welcomes referrals for complex litigation and serious injury cases, from attorneys throughout North Dakota. To learn more about our services or about the attorney referral network, please call 701.484.4878, or fill out our referral form. We look forward to working with you.